He has over 5 years of experience as a Dentist. He is a qualified BDS . Don’t wait in a queue, book an instant appointment online with Dr. Rangrez Imran on Lybrate.com. Lybrate.com has a number of highly qualified Dentists in India. You will find Dentists with more than 28 years of experience on Lybrate.com. You can find Dentists online in Sillod and from across India. View the profile of medical specialists and their reviews from other patients to make an informed decision. I am a 25year old female having ulcer in the lower lip for 3 days. What should I do? Hii. Usually this take almost a week to go off completely. Still if it's hurting. Ointment oracep la can used twice daily just before meals. Apply on the affected area. 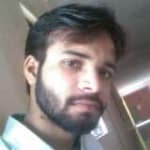 Hi I am vivek shukla. I go two time brush (teeth clean) but my teeth look yellow so what I do? Most probably your teeth are having yellowish shade. Do consult the clinic. Bleaching can brighten the colour to a better extent. I have a lot of gaps in my teeth, can those gaps be filled fully without any operation. Yes. Just consult an orthodontist. But there are some cases where the gaps can not b reduced. Still you consult the Dr. N get the opinion. My wife is suffering from high BP since last 10 years. Her bp pattern remains in range 170/90 for about one month. We have been monitoring regularly at home. She takes a pill LODOS 2.5. Also she has been taking garlic pills. However it never reduces below this level. She is quite reluctant to visit a doctor. Also she has lost 70%of her teeth still she does nt want to visit dental surgeon for treatment. Is this could be a reason for her high blood pressure. Please help. Hii. The antihypertensive drugs can be the cause for the loss of teeth. Actually what happens is the antihypertensive drugs causes increase in the size of gingiva. Leading to difficulties in maintaining proper oral hygiene. That eventually leads to tooth loss. I have got a broken teeth. ( front right second one. Can i make it done? what will be the cost? If any discolouration or pain then get rct done n put a crown (cap) on it.If no pain n dissolution the make sure that the pulp is not exposed n cap it.